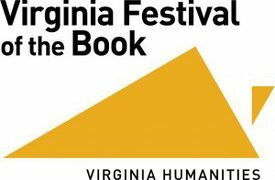 Sunday Morning Wake-up Call host Rick Moore talks with Jane Kulow, Virginia Center for the Book Director, Amanda Korman from The Women’s Initiative and Phil Schrodt from Insight Meditation Community of Charlottesville about the 2019 Virginia Festival of the Book. The festival opens March 20th. Key events of this year’s festival are discussed. Home Grown gives you a show that makes white supremacists throw up! First, Estela Knott and Dave Berzonsky from LUA do their best impressions of ethnomusicologists when talking about their ongoing attempts to explore and bring together Mexican, Appalachian, South American, and Jewish roots music. (Oh, and they play a couple of songs too!) Then writer Amanda Korman returns to the show — this time in her role as Communications and Outreach Coordinator for The Women’s Initiative. They are currently accepting submissions for their Challenge into Change Writing Contest, and to that end, Amanda brings by Aerial Perkins, winner of last year’s contest to read her winning essay, “Pretty Brown Girl” on the air. Your hosts Clinton Johnston and Leslie M. Scott-Jones try to take a page from Aerial and not “put fear on the table” all on this week’s Home Grown: Your Show about Local Art. It’s a packed Home Grown this week.We start our countdown to the Six Pack Songwriter Showcase with our man Jason Burke. We then talk to Deborah McLeod from Chroma Projects Art Laboratory. She talks Chroma plans — dodges questions on PCA :( — and brings with her Blake Hurt who expands the nature of portraiture in his current Chroma exhibit August Persons, Finally, David and Leslie speak to Amanda Korman — local writer and past WriterHouse seminar leader to talk about The 2017 WriterHouse and C-Ville Weekly Flash Fiction Contest. It’s so much art on this week’s Home Grown: Your Show about Local Art you might have to sue for artful distress with the fine firm of Tochterman, Munson, Overman, & Burke.